Tempe's agricultural roots run deep, but few visible elements persist in the landscape. 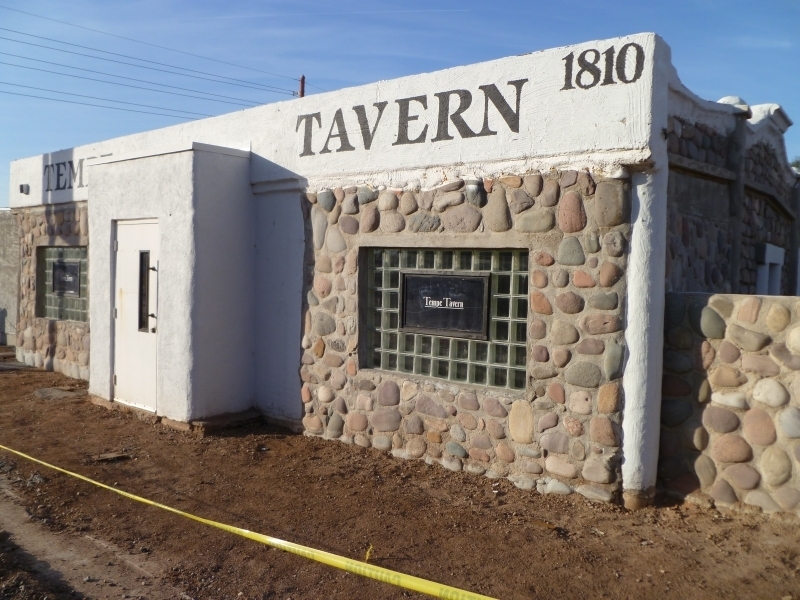 The Tempe Tavern's river rock architecture hearkens back to the city's early agriculture, especially its legacy of cattle ranching and dairy farming. Tempe Tavern began its life as a dairy barn. It is a small, square single-story building constructed of concrete and river cobbles, presumably drawn from the Salt River. E. M. White migrated to Arizona from California in 1908, eventually settling in Tempe so that his children could attend Tempe Normal School. He built a home on a hill North of the Salt River, approximately where Mill and Curry Roads intersect today. 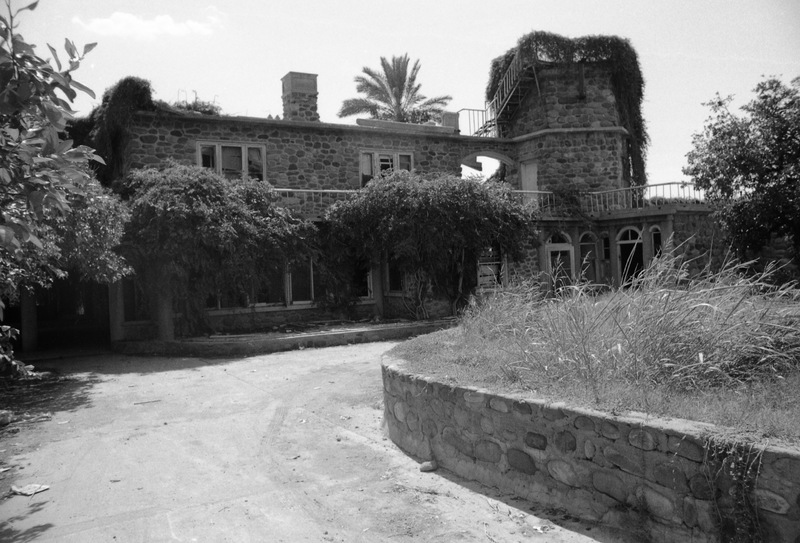 He farmed an area between the Salt River and what is now Apache Boulevard until 1927, when it was subdivided and sold. The house was eventually demolished in the 1980s but it had many of the same characteristics as his dairy barn, which became a commercial establishment in 1930. 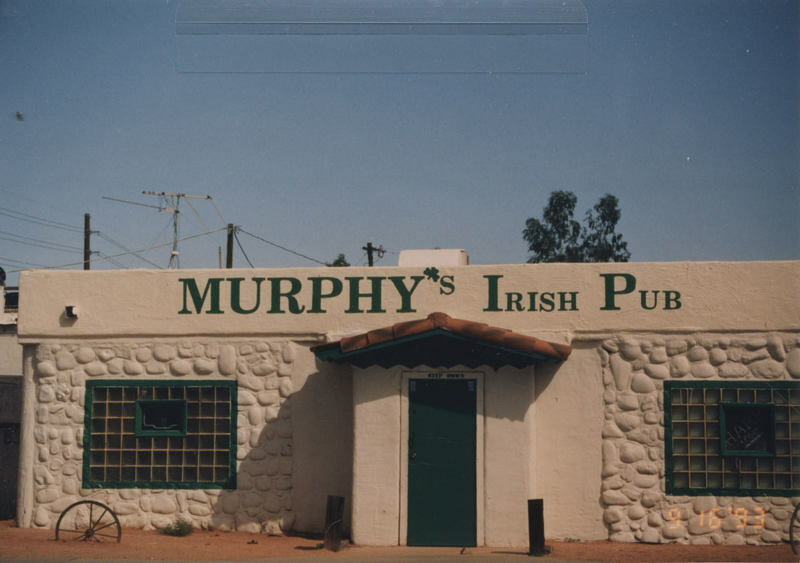 The dairy barn has had a life as Murphy’s, the Oxbow, and now the Tempe Tavern. The building not only reminds us of White’s unique architectural style, but it is one of the last surviving structures from an earlier era when Tempe was primarily a farming community. Raising cattle for dairy was a significant part of the town’s development and persisted well into the 1950s. 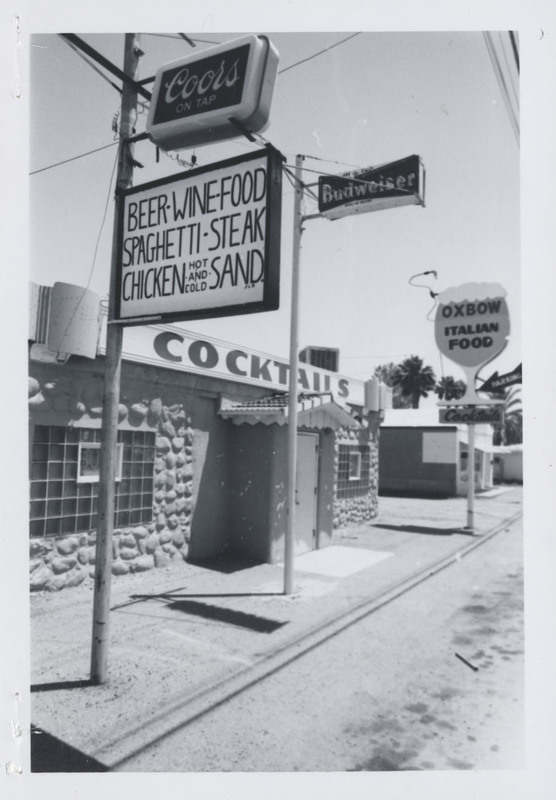 Not only did “cattlemen” and “dairymen” regularly hold meetings in the hotels along Apache Boulevard, but many of the lots on the south and eastern edges of Tempe remained in use for agriculture well into the post-war period. As late as 1952, residents of the suburban developments on the east side of Tempe (such as Borden Homes, Tomlinson Estates, and Hudson Manor) protested the installation of a cattle feedyard adjacent to the Southern Pacific Railroad and McClintock Road. 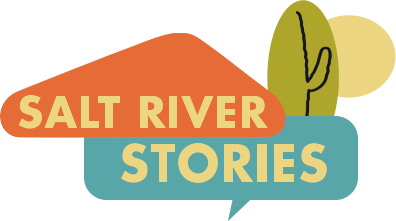 Irelan Inoshita, “Tempe Tavern,” Salt River Stories, accessed April 22, 2019, https://saltriverstories.org/items/show/257.